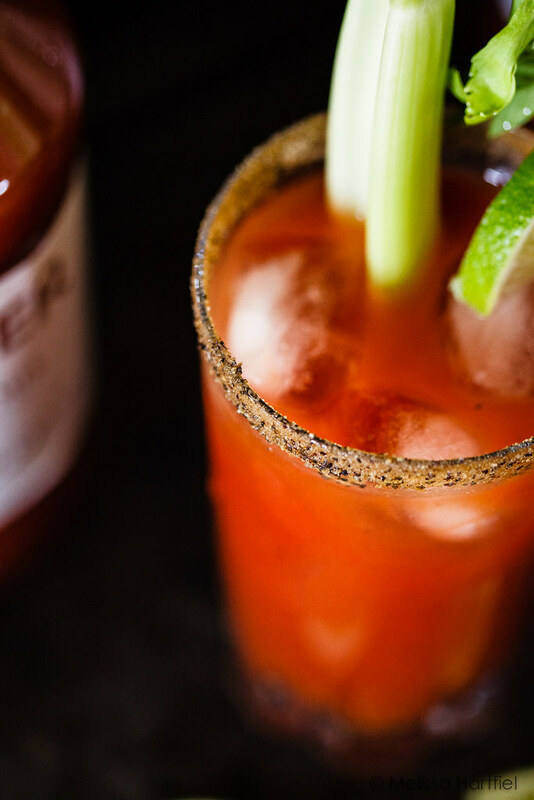 The classic Canadian Caesar cocktail never goes out of style. It’s often compared to it’s American cousin, the Bloody Mary but, as any Canadian will tell you, the secret is in the clam juice! I remember the first time I tried to order a Caesar in the US. 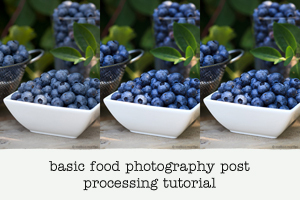 It resulted in a very blank look from the waitress – something I had never experienced when ordering one at home. She asked what was in it. I explained: vodka, tomato juice, clam juice and Worcestershire sauce plus more stuff to make it spicier if you like. She brought me a Bloody Mary. And that’s when I learned that nobody outside of Canada knows what a Caesar is. And if they do, they can’t get past the clam juice. Which is too bad – it’s their loss! The clam juice adds a whole other dimension to what would otherwise be a spicier version of the Bloody Mary. I actually don’t like Bloody Marys at all… I find them way to thick and tomato-y. The clam juice thins down the tomato juice and adds a salty, ocean feel to the drink. I know it sounds weird but it’s really not! I’m willing to bet if you were given a Caesar and not told what was in it, you’d be a convert from the first sip! In this day of the craft cocktail, it feels like some of the classics have lost favour as mixologists (or bartenders as we used to call them) try to create their own unique beverages or put twists on old ones. 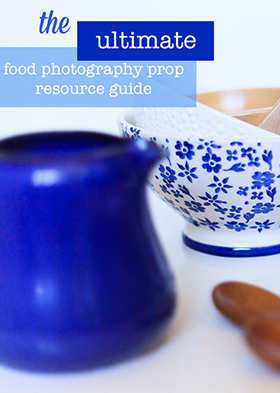 As I’ve said before, sometimes I just crave classic simplicity. Sometimes, the classics are the best, for a reason. They’re just that… classic. 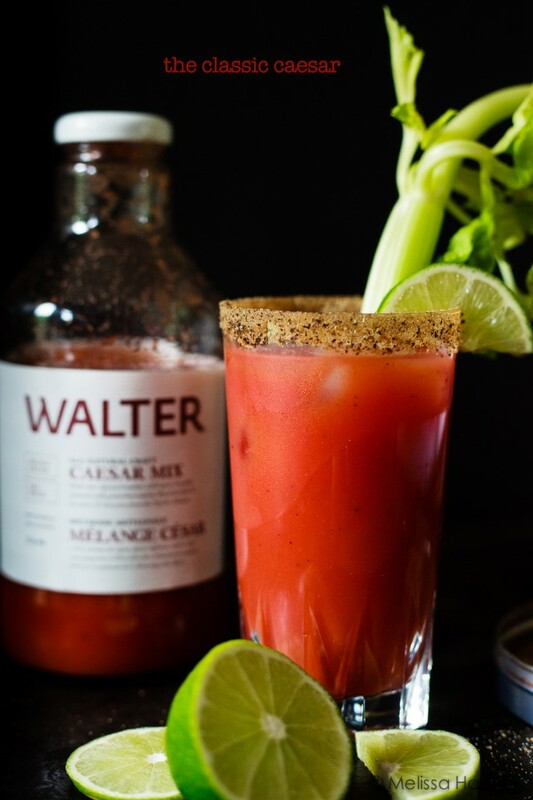 For my last few Caesar’s I’ve been making them with Walter Caesar Mix, an all in one, all natural, craft mix produced in small batches with no artificial flavours or colours. And of course, it’s Canadian made. The mix includes tomato paste, clam juice, Worcestershire sauce, horseradish and some additional spices. No need to add anything but vodka! I love the idea of Walter’s: small batch, no artificial flavours/colours no MSG and only natural ingredients. But I found it too thick and tomato-y for me with not enough clam flavour. It was much more like a spicy Bloody Mary. I solved the thickness problem by adding a lot of ice and a squirt of lime juice, which I like in my Caesars, but I’d still like to see a little more clam flavour (clam juice came after Worcestershire sauce on the ingredient list!). However, it still made for a very pleasant cold cocktail on a hot afternoon on the backyard deck and works perfectly for those moments where you may not have all the ingredients on hand – like on a camping trip, cookout or picnic! When you make your own Caesar, keep in mind that they are supposed to have some spicy zing to them but it’s very much personal preference. Many establishments will ask you your spice preference when ordering or even have two drink menu choices for mild and spicy! And there you have it – the perfect drink for Canada Day this July 1st. It’s even the perfect colour. in a separate glass, mix together vodka, clam juice, tomato juice, Worcestershire sauce, pepper (to taste) and any additional ingredients you'd like to add. Caesars are supposed to have a little zing to them but if you're not one for overly spicy drinks, go easy! 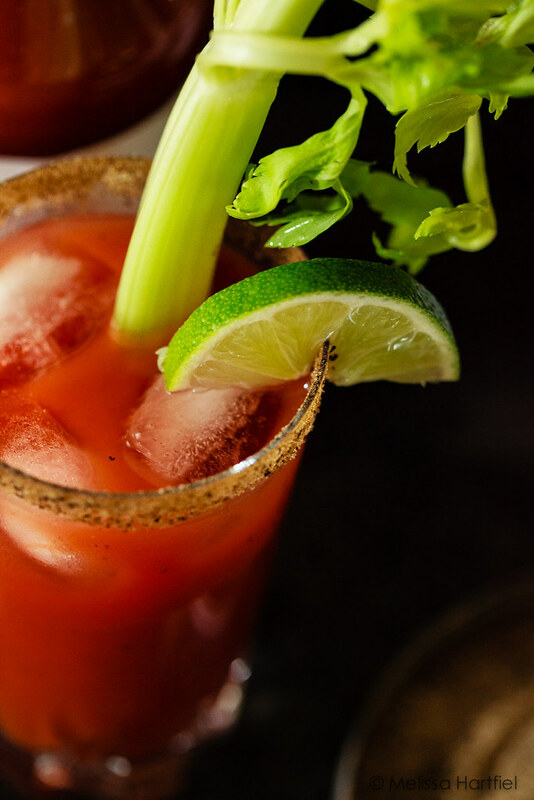 garnish with a stalk of celery, the traditional Caesar garnish, or a pickled bean, or both! 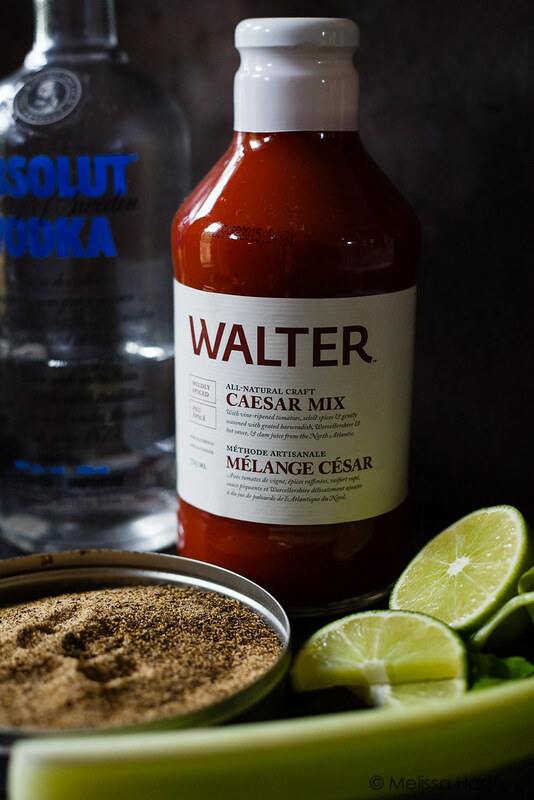 I was provided with two bottles of Walter’s Caesar Mix (Regular and Well Spiced) for review purposes but all opinions, as always, are my own! Cheers and Happy Canada Day to you Melissa! You should try the new Bruce Julian Bloody Caesar Mix and Rimmer. 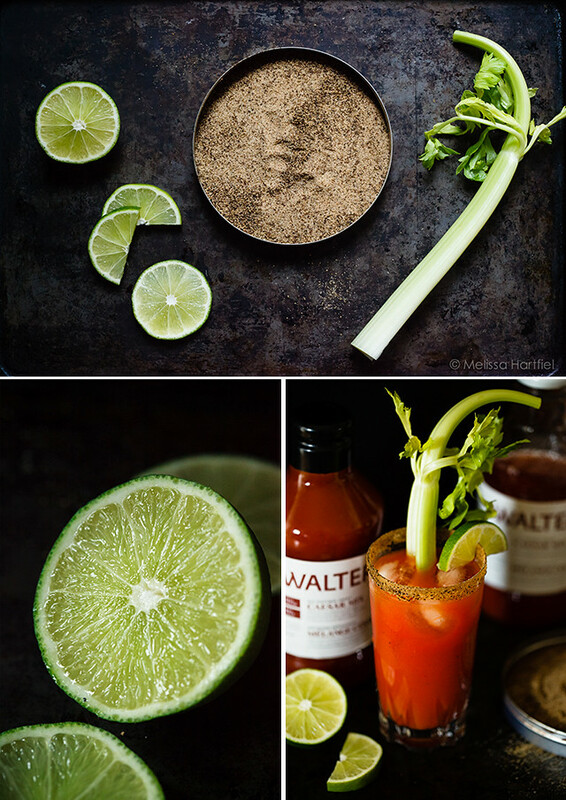 Now….that’s a Caesar, not thick tomato juice like the Walters. 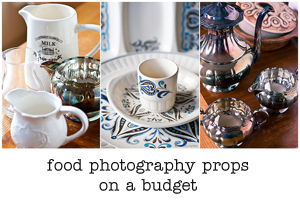 you should be able to buy it at any grocery store! It’s usually in the juice section – just look for Mott’s Clamato juice. If you can’t find it, just ask – I guarantee any of the big chains will carry it. 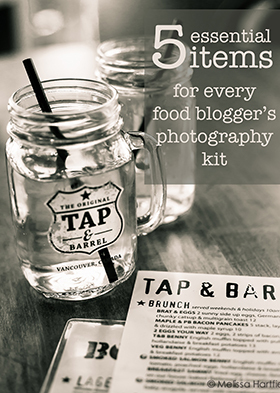 You may even find it in the LCBO as well in their mixers section. I bought some Caesar mix just this week — I didn’t even know it was a thing 😮 I was looking for Clamato and there it was. Going to check for the Walter’s stuff!